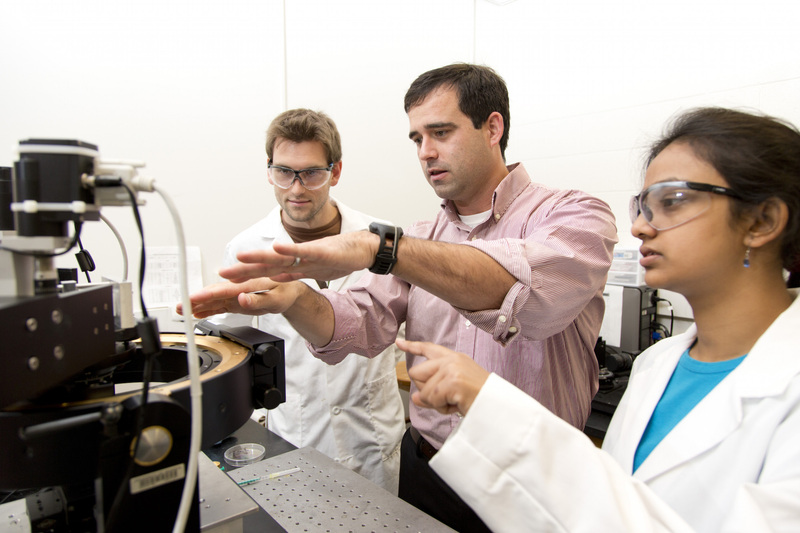 The School of Chemical, Materials and Biomedical (CMB) Engineering offers several graduate programs for students to gain expertise at the frontiers of science and engineering knowledge. The faculty conduct research supported by the USDA, DOE, NIH, NSF, EPA and by industry partners, and have collaborative efforts with numerous centers of excellence at the University of Georgia, including the New Materials Institute, the Regenerative Bioscience Center and the Biomedical & Health Sciences Institute. These collaborations provide students with opportunities to engage with scientists across many science disciplines to tailor their education. Devises new dimensions in research, teaching and outreach in the University to educate more technologically literate graduates and expedite translation of discoveries into useful technologies and services for improving the quality of life. Consideration is given particularly to the following components of the application: GRE and other test scores, undergraduate Grade Point Average, the student’s Statement of Purpose (SOP), and letters of recommendation. Quality students who have completed a B.S. degree in a non-engineering field such as Physics, Chemistry or Biology and who have completed mathematics through differential equations will be considered for admission to the School’s graduate program. These students typically are required to complete 3-4 additional engineering courses at the onset of their graduate education which will be determined by the School Curriculum Committee in coordination with the College Graduate Admissions and Advisory Committee. Change of major from M.S. to Ph.D.: a) each GRE score must be at least 150 (verbal and quantitative), b) Ph.D. entrance requirements must be met, c) adequate progress in the M.S. must be demonstrated, d) the undergrad GPA must be at least 3.0 (or its equivalent), and e) a compelling case for the change must be given.